Norse Projects and Leeds’ The Hip Store team up to create this collaborative 5 panel and t-shirt. It’s really nice to see a small independent such as The Hip Store getting this kind of recognition from a brand like Norse Projects. It’s far too easy for a brand to slip into the predictable collaborations, but here we see Norse extending their collaborative arm to one of their long time stockists. 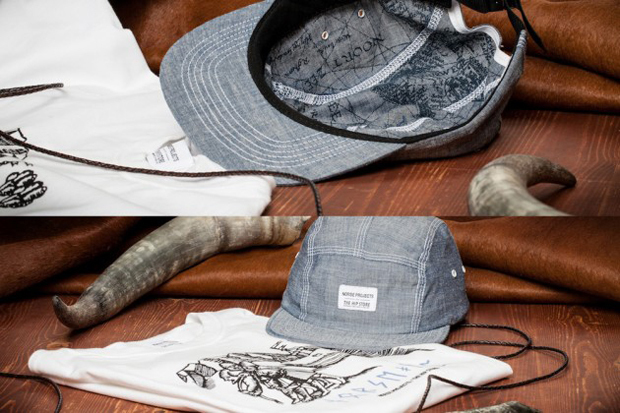 The capsule collection is small, consisting of a t-shirt and 5 panel, but does the job nicely. 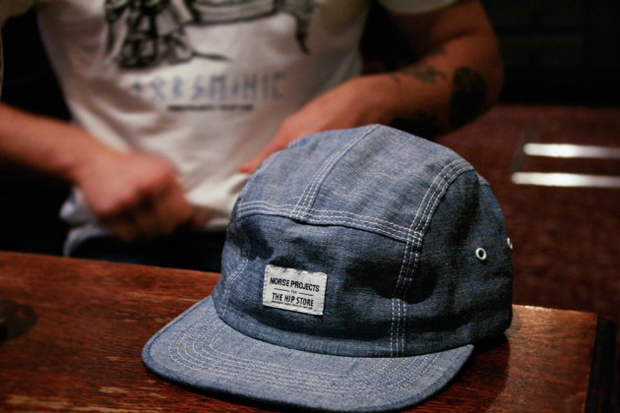 The cap is made from a nice light blue chambray and features a dual branded patch in the usual place. It’s very similar to some of the first Norse 5 panels that made their way over to the UK. Fitting, seeing as this capsule collection is themed around the Viking raids of England in 800 AD. 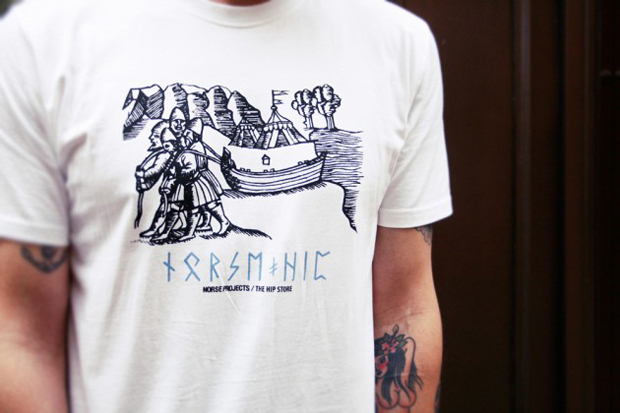 The t-shirt is a more obvious nod to this, with it’s Nordic imagery and rune style type. Both items are in celebration of The Hip Store’s 25th anniversary – a seriously long time to be in the game, and are available exclusively from The Hip Store now.